From beneath the pool waterfalls, swimming holes make taking a dip an exotic experience in their raw and spectacular ambiance. 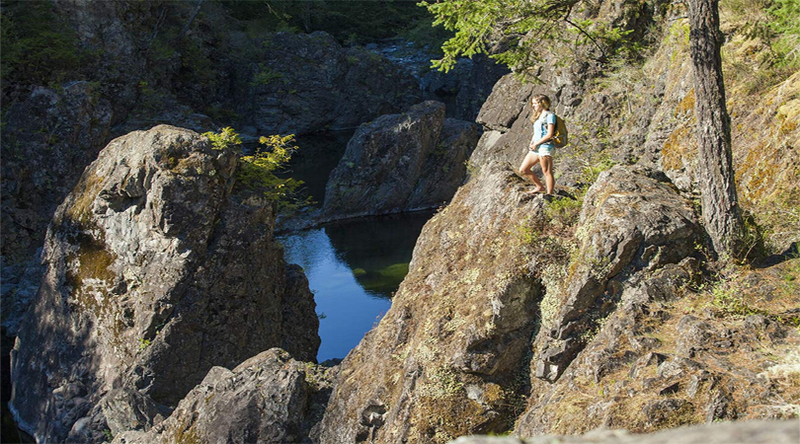 Away from the crowds and often an adventure to get to, they are some perfect places to get close with nature. These are the serene pieces acting as the guarded secrets, jewels in the rough. If you want to have the experience of the lifetime, below are some of the most spectacular swimming holes around the world that one should explore to have some different kind of an experience altogether. Some Charismatic Opera Houses in the World. Best Wedding Destinations Across the World. As one of the most beautiful waterfalls in Thailand, Erawan Falls creates for you the perfect spot to swim in. the waterfall has seven more waterfalls flowing over each other creating the scenes look so picturesque. One can easily go swim in the clear waters along with fish. In the vicinity of the region, you can also explore the rock formatted caves and the lush green surroundings. Most Creative Cities of the World that will broaden your imagination. It is one of the perfect places to enjoy the sun and take a dip in the water. 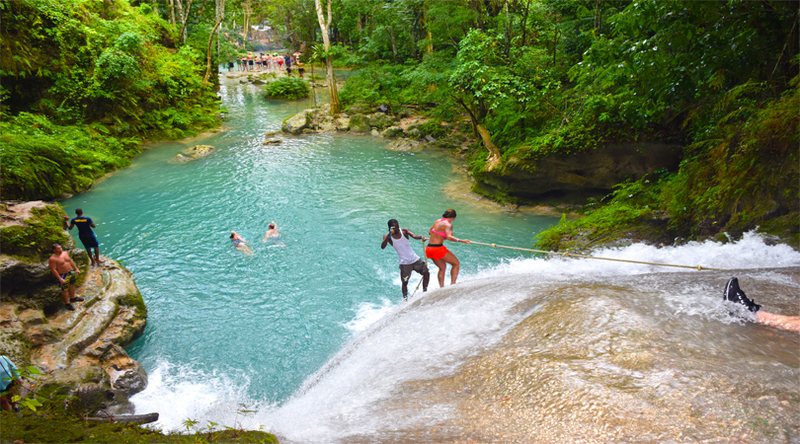 Enjoy this serene paradise by exploring the Dunn River Falls and the swing from the Tarzan Rope into the pool. Located in the north east of Jamaica, the region is full of lush green surroundings, exotic biodiversity and the clear blue water, creating for you the finest ambience for having some fun activity in the water. 10 Must Visit Destinations for Newly Married Couples. 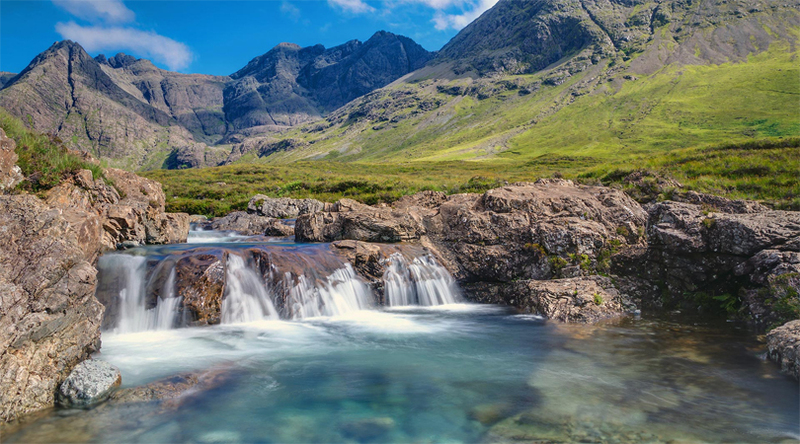 Located on the island of Skye, this fairy pool have a pinkly- hued yet clear blue water that looks as if came directly from the storybook. No matter how clear and welcoming the water looks, the place, surely gives you an experience of swimming in the cold and exotic water. Do not forget to wear the shoes as the place is full of stepping stones and streams which might get difficult to pass without them. Bollywood Connection with Heritage Hotels of India. 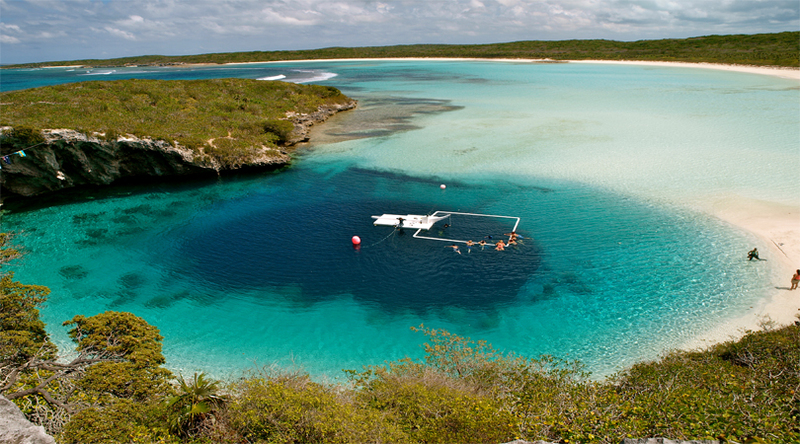 Sited deep down as the world’s deepest underwater hole, Dean’s Blue Hole is not for the beginners or non swimmers. The water body has crystal clear and warm water surrounded by the white beaches all around the year. 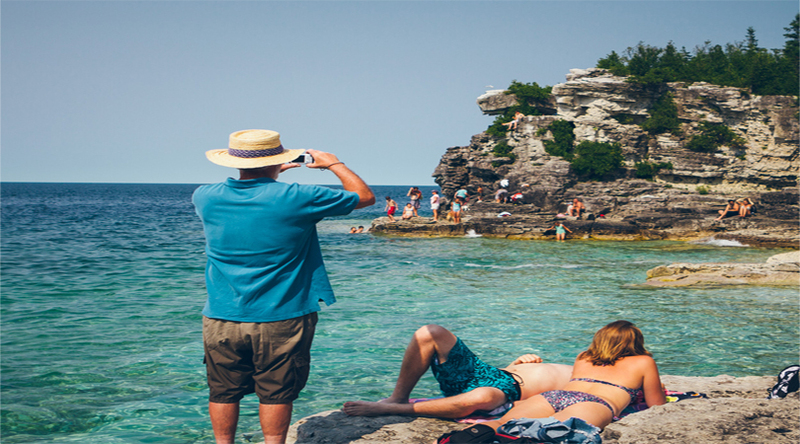 The fascinating hole is perfect for snorkelers and divers, positioned toward the southern stop of Long Island, about three miles north of Clarence Town in the sunny and pleasing Bahamas. Top 10 Historical Monuments In India. 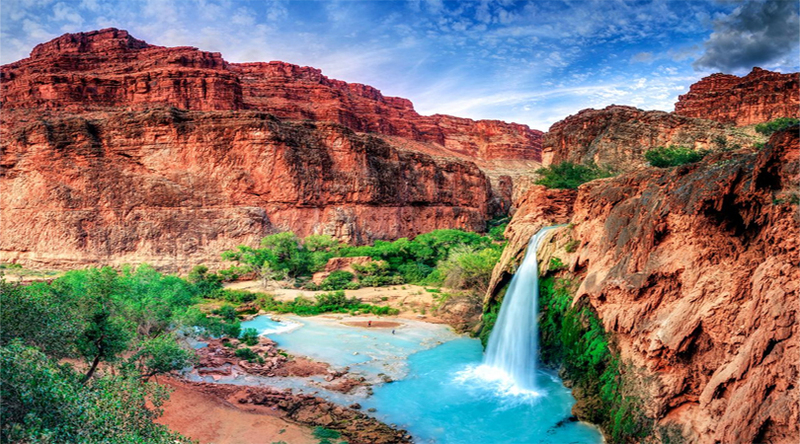 Located at the bottom of the Grand Canyon, the blue water of the hole looks stunning surrounded by the scenic landscapes. 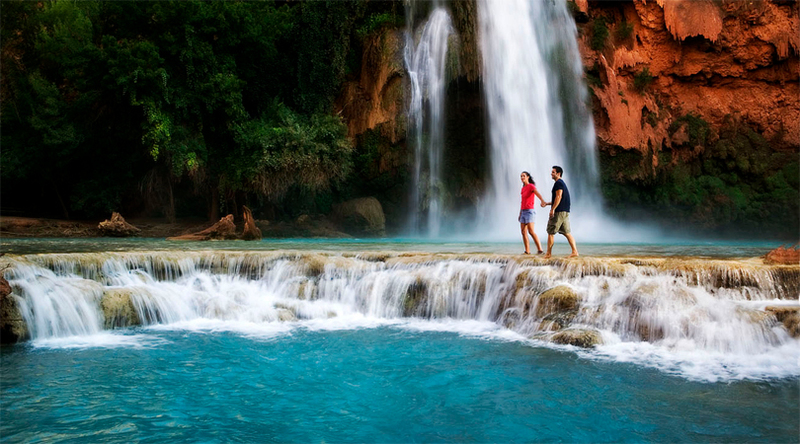 The spot is situated in Arizona, on the Havasupai Indian Reserve, where the water is assumed to be pious. The magnificent waterfall and the long stretched pool make a perfect place to enjoy having a picnic while taking a dip in the water. Top 5 Most Beautiful Waterfalls in the World. 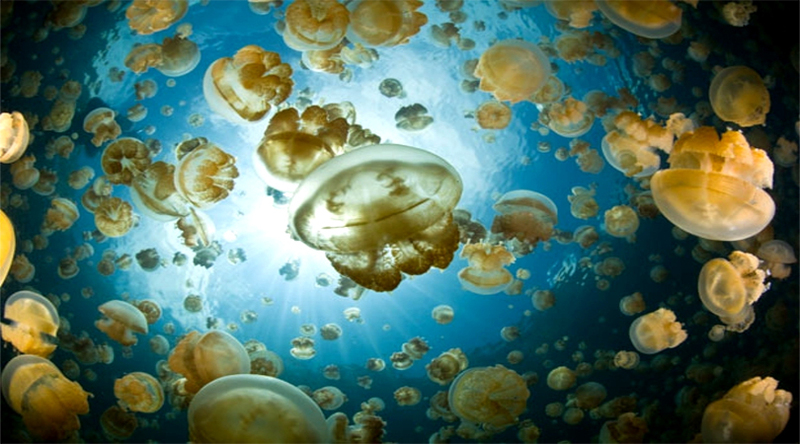 For one surreal experience, swimming in jelly fish is the perfect idea. The stunning surrounding makes that dip in the water all the more exotic. One is allowed to swim in the lake but activities like scuba diving is not allowed. Located on the isle of EIL Malk, only takes a short hike to reach. Meaning ‘cotton castle’ in Turkish, these beautiful springs are famous for their restorative qualities and the shinning blue color. The place is the makeup of travertine rocks and hot water, giving you options to swim or to soak. As a famous tourist destination, one can visit the picturesque phenomenon all around the year with just a bus drive from highly developed spot of Denizli. 13 Destinations in India Lying in the Lap of Nature. Situated amid the Keflavik International Airport and Reykjavik, blue lagoon is one of the perfect destinations deserving worth a visit. The place has got geothermal waters rich in minerals. While travelling to this destination, do not forget to enjoy some skin treatment with the mud of the place that makes skin very healthy. This time away from going to some cliché destination for swimming, the pot will give you the most thrilling experience of your life. Explore the Most Stunning Islands of the World. Considerably, as the most dangerous pool in the world, Devil’s Pool creates one thrilling experience for getting down in the water. 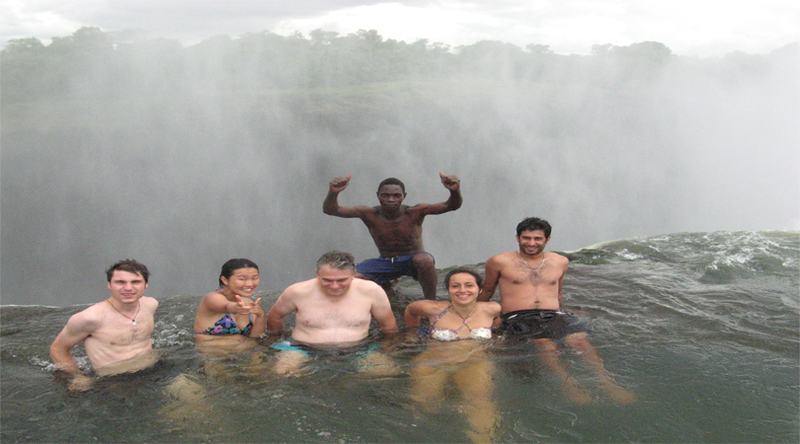 Situated at the Victoria Falls, the place opens up in the summer months of May to October when the water of level becomes weak. Travel to this enthralling site with guides and do bring a waterproof camera. The place offers some scenic points you can witness while sitting on the edges of the rock. World’s smallest Countries that Deserves to be visited. It is one of the exceptionally beautiful locations, located in Ontario, which is formed by the waves from Georgian Bay. With its turquoise coloured water and the picturesque surrounding, the place has the potential of making tourist come again and again. One can experience camping around the area, kayaking, canoeing and fishing here. Top 15 Destinations in India for Spending Summer Vacations. 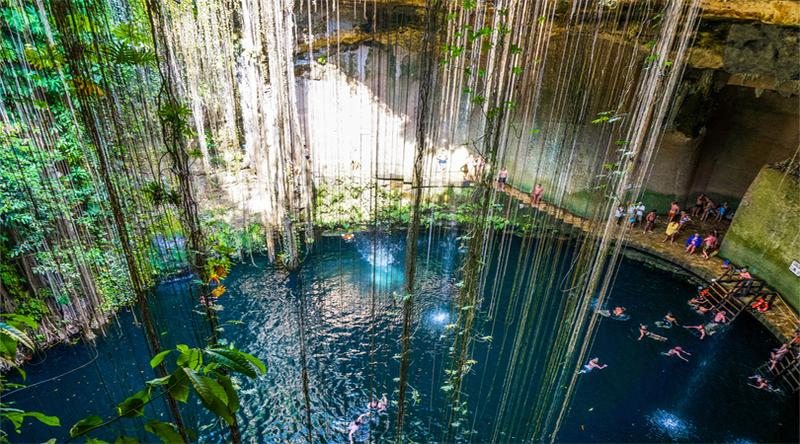 It is a 130 foot deep natural pit formed by the collapse of the cave which has become a famous stopover for the people going to the old Mayan city of Chichen Itza. The place also has one astonishingly carved stairway of limestone rock taking you to the entrance to the swimming stage. try reaching the area nit early or late as it gets too crowded.